One of the most important things in our lives is our health. Every day, millions of Americans are diagnosed with everything from chronic illnesses and life-threatening diseases like diabetes, cancer or heart disease, to simple ailments including the common cold. Learn to take better care of yourself, both physically and mentally. 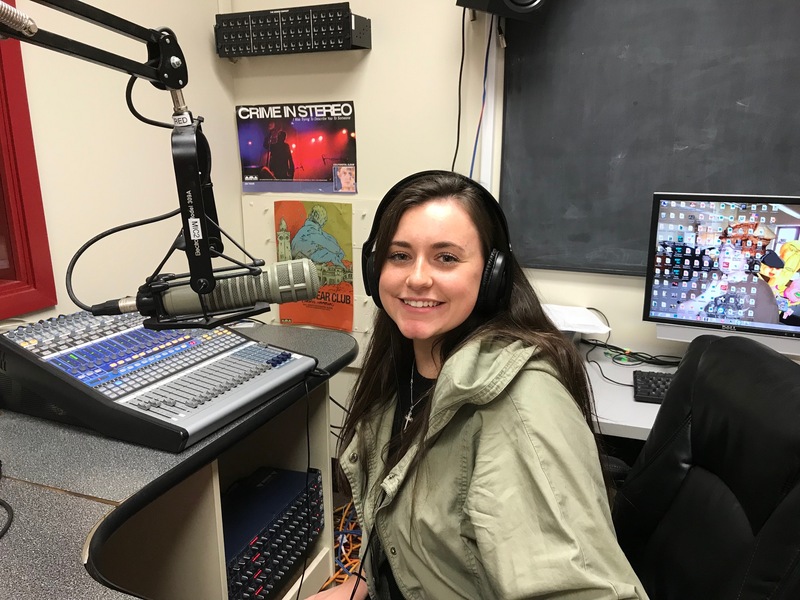 Don’t miss 107.7 The Bronc’s first on-air program about your health, Health 411! Forget Dr. Google! Every Sunday at 11 a.m., Dr. Jonathan Karp, from the Health Studies Institute of Rider University provides truthful health information to expand your knowledge and perspective. Whatever the topic: health insurance, personal diet and exercise, or preventative medicine techniques Dr. Karp will keep you informed, sharing important tips and trending topics in the healthcare industry. Learn how to take better care of yourself and receive up-to-date health information you may have never heard about before. 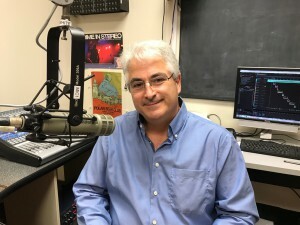 Listen to Dr. Jonathan Karp and Health 411 Sunday mornings at 11 a.m. exclusively on 107.7 the Bronc. The Health Studies Institute of Rider University, brings together diverse perspectives, expertise and leadership to impact regional, national and global health issues through education, innovation and outreach. For more information regarding the Health Studies Institute, click here. (Host) Dr. Jonathan Karp is a Professor of Biology, Behavioral Neuroscience, and Health Sciences at Rider University. He has been doing health-related teaching and research at Rider since 1997. Prior to Rider, he conducted psychoneuroimmunology research at the University of Rochester Medical Center. He earned a BA and Ph.D. in Neuroscience from Colgate University and Vanderbilt University, respectively. At Rider he regularly teaches at all levels of the curriculum including courses in Brain & Behavior, Behavioral Neuroscience, Neurolobiology, Biostatistics, and senior seminars. He has a daughter and two sons with whom he regularly discusses the myths and realities of health-related issues. Health 411 is his first appearance on the radio. He can be reached at jkarp@rider.edu or 609-895-5658. 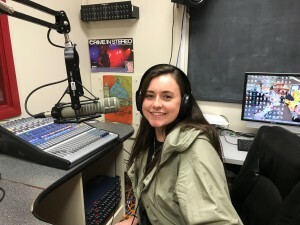 (Producer) Diamond McNellis is part of the graduating class of 2019, and is a Biology major here at Rider University. Diamond is a pre-medical student who has her eyes set on medical school following her graduation from Rider. She has been a part of various organizations on campus, such as the Capital Health Internship Program, the Pre-Health Society, the Science Learning Community, the Academic Success Center, and the Health Studies Institute. Outside of the classroom, Diamond enjoys playing various instruments and spending time with family/friends. Diamond is very excited and honored to join the 107.7 The Bronc family, while also providing listeners with important “Health 411” insight. Dr. Marius Pascale – Dr. Karp and and Dr. Pascale discuss medical ethics and its applications to the medical industry. Dr. Mack Costello – Dr. Karp and and Dr. Costello discuss gambling and utilizing Applied Behavior Analysis (ABA) therapy, a scientific discipline concerned with applying techniques based upon the principles of learning to change behavior. Dr. Robert Isenhower – Dr. Karp and and Dr. Isenhower discuss Autism and utilizing Applied Behavior Analysis (ABA) therapy, a scientific discipline concerned with applying techniques based upon the principles of learning to change behavior. Dr. Jonathan Karp – Dr. Karp and Diamond McNellis compare two components of marijuana, tetrahydrocannabinol (THC) and cannabidiol (CBD). Dr. Jonathan Karp – Dr. Karp and Diamond McNellis discuss sexually transmitted diseases (STDs). Carol Nicholas, RN – Administrative Director of the Greater Mercer Public Health Partnership (GMPHP), Carol Nicholas, describes their mission. Dr. Jennifer Warren – Founder of the Center for African American Health Disparities, Dr. Warren describes her mission to Dr. Karp. Jodi O’Donnell-Ames – Dr. Jonathan Karp and Jodi O’Donnell-Ames discuss amyotrophic lateral sclerosis (ALS). After losing her husband in 2001 to ALS, Jodi founded Hope Loves Company in order to educate and support the family members of patients suffering from this neurodegenerative disease. Dr. Jim Riggs – Dr. Jonathan Karp and Dr. Jim Riggs discuss all things vaccines; from what they are, how they work, the “anti-vax” movement, and the dangers of not being vaccinated. Join us while we distinguish fact from myth about vaccinations (Encore). Dr. Jonathan Karp – Dr. Karp and Diamond McNellis tackle two more health myths: 1. Everyone needs 8 hours of sleep per night, and 2. Caffeine causes dehydration. Terri Mandigo, M.S. Ed – Dr. Karp and Terri Mandigo discuss nutrition and leading a healthy lifestyle. Dr. Eric Schwartz – Executive Director of Capital Health’s Institute for Urban Care, Dr. Eric Schwartz, tells Dr. Karp about the program created to help pregnant women and new mothers overcome their opioid addictions. The title of the program is: “For My Baby and Me”, https://www.capitalhealth.org/medical-services/opioid-treatment-for-pregnant-women-new-moms. Dr. Jonathan Karp – Dr. Karp and Producer, Diamond McNellis, discuss Post Traumatic Stress Disorder (PTSD). Dr. Jonathan Karp – Dr. Karp and Producer, Diamond McNellis, discuss stem cell research in the United States; as well as “stem cell tourism” in other countries. Dr. Jonathan Karp – Dr. Karp and Producer, Diamond McNellis, discuss melatonin (Encore). Dr. Jonathan Karp – Dr. Karp and Producer, Diamond McNellis, discuss melatonin. Dr. Nadine Heitz and Dr. Zan Streubing – Dr. Karp, Dr. Heitz, and Dr. Struebing detail mental health on our college campus, including various outreach projects and the support staff here for students. Ilene Fink – Dr. Karp and Ilene Fink discuss marketing and healthcare in New Jersey, as well as the future of this field. Micah Rasmussen – Director of the Rebovich Institute for New Jersey Politics, Micah Rasmussen, joins Dr. Karp to discuss the ever complex political atmosphere of New Jersey healthcare. Dr. Jonathan Karp – Dr. Karp and Diamond McNellis discuss what dietary supplements are, as well as the possible health hazards associated with them. Brett Nemeth – Dr. Karp, Brett Nemeth, and Matthew Mysholowsky discuss the importance of a healthy lifestyle and regular exercise. Dr. Kristin McCarthy – Dr. McCarthy provides insight into the current healthcare environment in New Jersey, as well as insight into the future for our state. Dr. Patrick R. Progar – As Executive Director of the Princeton Child Development Institute, Dr. Progar provides insight into Autism in New Jersey. Dr. Jonathan Yavelow – The brave Dr. Jonathan Yavelow shares his experience as a cancer patient. Dr. Jonathan Karp – Dr. Jonathan Karp and Producer Diamond McNellis tackle health myths that have been around for years. Curious? You should be! Dr. Jamie Ludwig and Shannon Hennessy Pulaski, LLC – Dr. Jonathan Karp, Dr. Jamie Ludwig, and Shannon Hennessy Pulaski, LLC discuss the BRCA1 and BRCA2 mutations associated with breast cancer. Join us to learn about these mutations, why you should be tested, and how to proceed once receiving your results. Dr. Drue Stapleton – Dr. Jonathan Karp and Dr. Drue Stapleton discuss athletic injuries and risk factors associated with injuries. Join us while we talk about important topics in injury prevention, such as recognizing when your body is trying to tell you something is wrong. Dr. Jim Riggs – Dr. Jonathan Karp and Dr. Jim Riggs discuss all things vaccines; from what they are, how they work, the “anti-vax” movement, and the dangers of not being vaccinated. Join us while we distinguish fact from myth about vaccinations. Dr. Jonathan Yavelow – Dr. Jonathan Karp and Dr. Jonathan Yavelow discuss the up-and-coming Health Studies Institute at Rider University. As the premiere show of “Health 411”, the vision for the future of the show is introduced.